Dance/USA will host its 2019 Annual Conference in Cleveland, OH from June 12-15. The Annual Conference attracts nearly 500 dance professionals, representing the broadest gathering of dance professionals in the US, including executive directors, artistic directors, company managers, choreographers, artists, presenters, agents, and others. 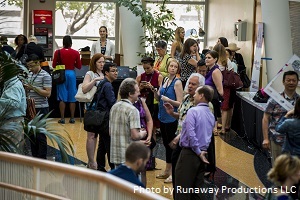 For more information about the Dance/USA 2019 Annual Conference please review the Annual Conference media kit. Learn more about Dance/USA in the Dance/USA News and Press Releases. For more information about the above, please contact Johanna Tschebull, communications specialist.